Earn 37 loyalty points when you order this item. 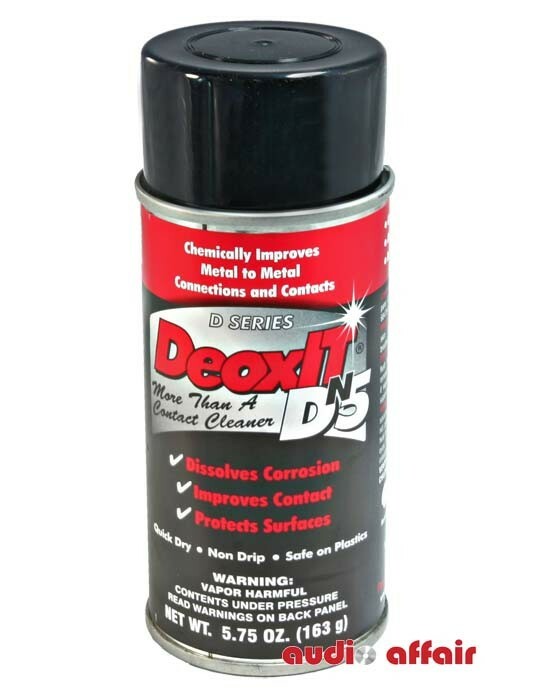 DeoxIT contact cleaner 163g is a fast-acting deoxidizing solution that cleans, protects, lubricates and improves conductivity on all metal connectors and contacts. Use as a general treatment for connectors, contacts and other metal surfaces, and on non-critical metal surfaces with severe oxidation and corrosion. If the metal surface is discolored, it is severe. 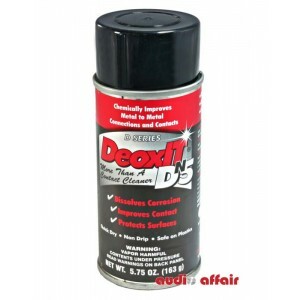 DeoxIT dissolves the contamination and protects the surface.